Bottom mount 2 inch pressure gauge w/ 1/4 inch mounting screw. 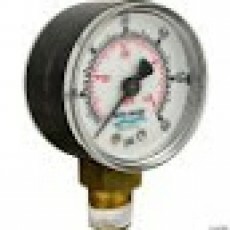 Filter pressure gauge for the Sta-Rite System 3 SD series of D.E. filters.